Welcome to the development thread for [After Kerbin]. This planet mod is set many billions of years after stock KSP. Kerbol (now called Archangel) is midway through its fast journey to becoming a red giant. It has just consumed Moho. Eve is burning, and Kerbin is deserted. You begin your journey on Duna, around a warmer Sun. 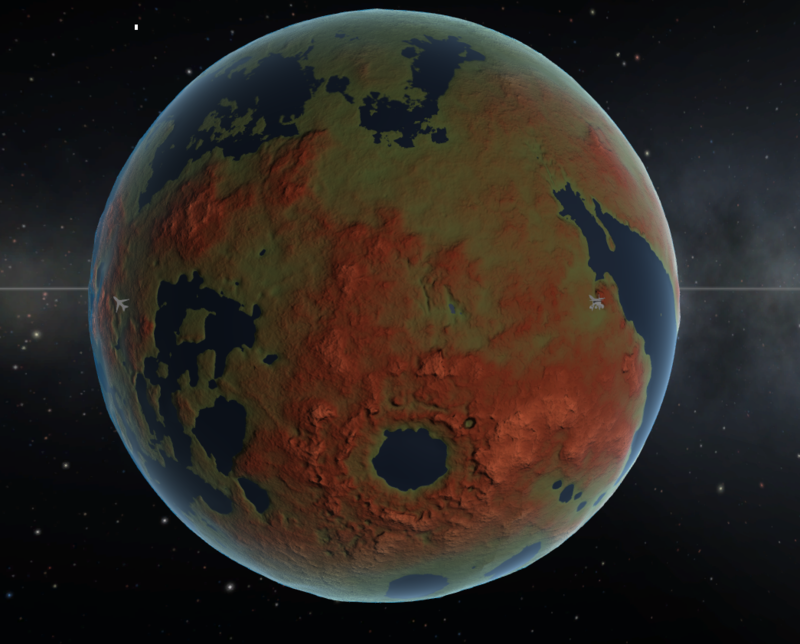 Begin on a tidally locked, colonised Duna, far into the future. This planet, known as Solitude, is the Kerbals' last hope. This is Kerbin. Four billion years has purged its surface of the space-faring civilisation. No. This is the Kerbol system billions of years in the future. Adding a new star means you will need modded parts to get there, which I generally disagree with. It also means separating planets and sentencing them to "will not be visited". I want to make sure all planets are easily reachable but also require a challenge once there. Yep! Even the visual mods will work together (they didn't with my previous planet mod), meaning you can install nearly any planet mod except those that also replace the home planet. 5GB at maximum texture quality. The reason why the RAM requirement is no lower is because the planets use highly detailed, 4k textures for the best experience. Still waiting on a release? Click the follow button in the top right of this page, or join the planet mod discord! Thread limited to a few screenshots. Will update them over time, don't worry! Do us beta testers get access to the mod soon? Wow! Looks great! Can't wait! I'm assuming soon after more planets get thrown in. Bugs are sweeped up, and such. Edit: I'm assuming radiators will be required. I would recommend taking a look at new horizons, it reparents kerbin. @Gameslinx make eve have rings from gilly falling in the roche limit. Update: Cannot start on Laythe. Kopernicus is too buggy and I'm not re-parenting the home planet if there are problems. Try Duna, perhaps. The Kerbals would've terraformed it by then. Or maybe Eeloo if the expansion of the sun is that far done. Eeloo would be melted and warm by this point. What do you say to it being tidally locked? Half is desert and grass, the other is icy. Or normal rotation? Tidally locked sounds good. Or perhaps make it rotate slowly like mercury. So it can be a barely habitable wasteland. Looks good! Looking forward to the release. Maybe we can live with a messed-up space center scene. Just sayin'. It's more than the scene. I'm more bothered about people who aren't so good with mods and will continue to report known bugs. Will be giving this thread a follow, and see how it turns out. Wait, how do you scale sunflares? Does it have something to do with the flareSettings or spikeSettings? You can't apply a space centre to something which isn't kerbin. Thus why Post Spawn Orbit is required. Thanks! I'll try that out! I noticed that Duna's atmosphere is still blueish. Perhaps you should make the sky a little grayer bordering on yellow, given that the sunlight at this point would be quite orange or even red. 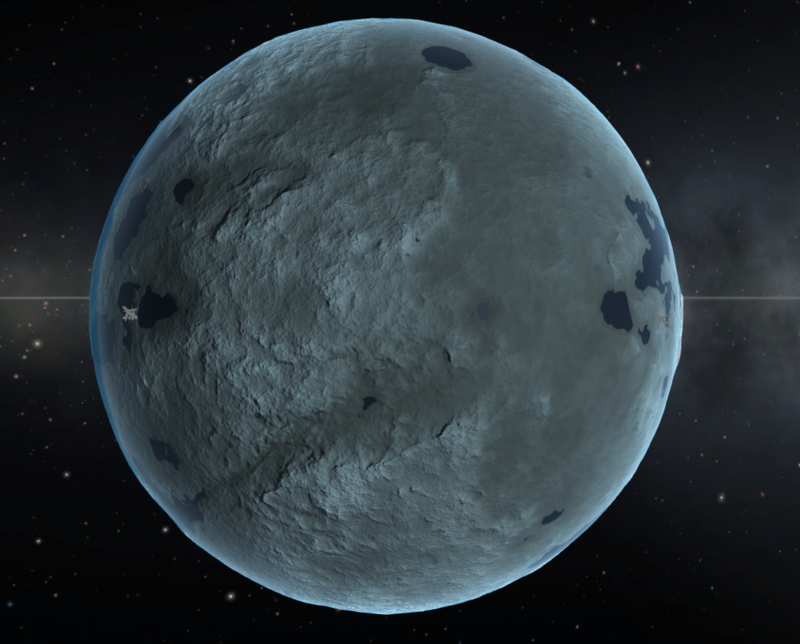 Also, the surfaces of the planets should be noticeably tinted.